I have been pondering this for a while. Situation is; I am in the process of an engine and trans swap. Ran into many delays and problems due to past mechanics doing things to make my life difficult. My engine is rebuilt and I am almost finished modifying the rest of the car for the swap (fuel system, A9P swap, and a lot of electrical work), but I have no time to search out a trans rebuilder. A few years ago, I could easily find people that did this work, but now, I can't find anybody within 200 miles of me. So the questions are: can I baby the stock AOD with a stall converter until I get a rebuilt trans? 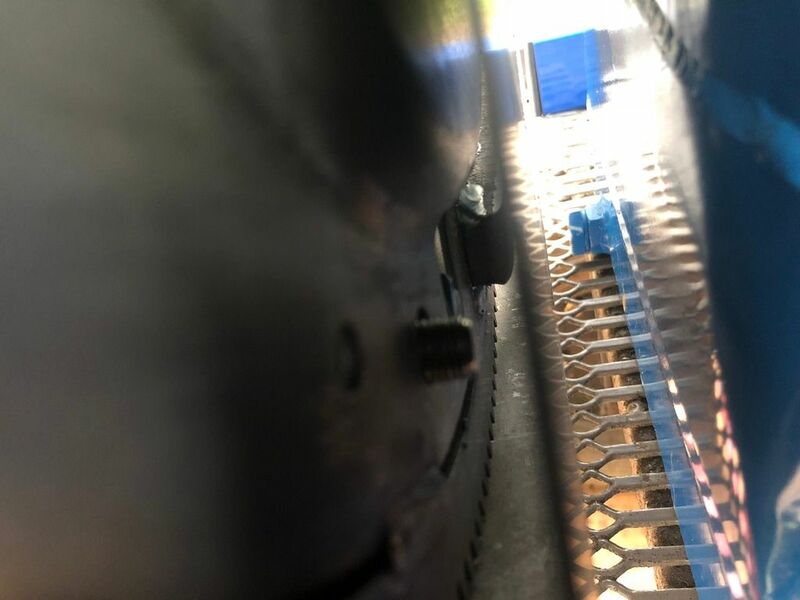 The nuts holding the stock converter are seized to the flexplate and I have no idea how to get them off without breaking things. Figured I would get the stall converter that I would get for the hi-po trans and run that; then swap transmissions when the time comes. Is this feasible? So, I am attempting to install my AOD onto the back of my engine and have run across a snag. 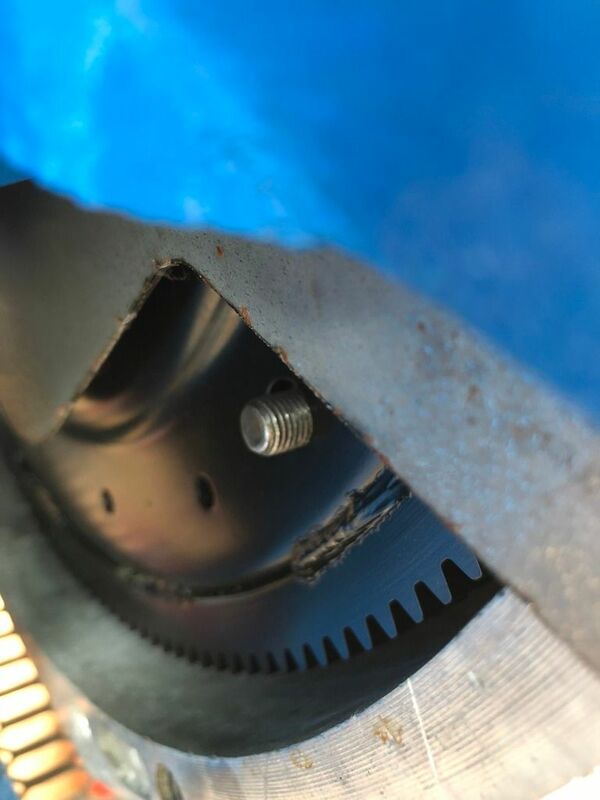 My new torque converter measured out to 11.5" and slid onto the flexplate smoothly, but the holes on the flexplate are shifted a little so that a couple of the torque converter studs are up against the sidewall. 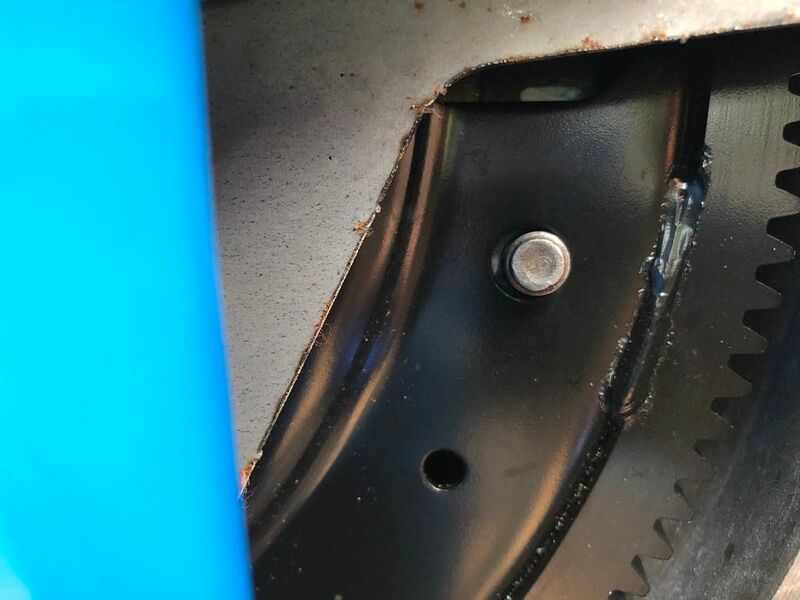 There is no play with the torque converter despite getting the "3 clunks" and having 1/4" clearance between the tip of the studs and bell housing flange. 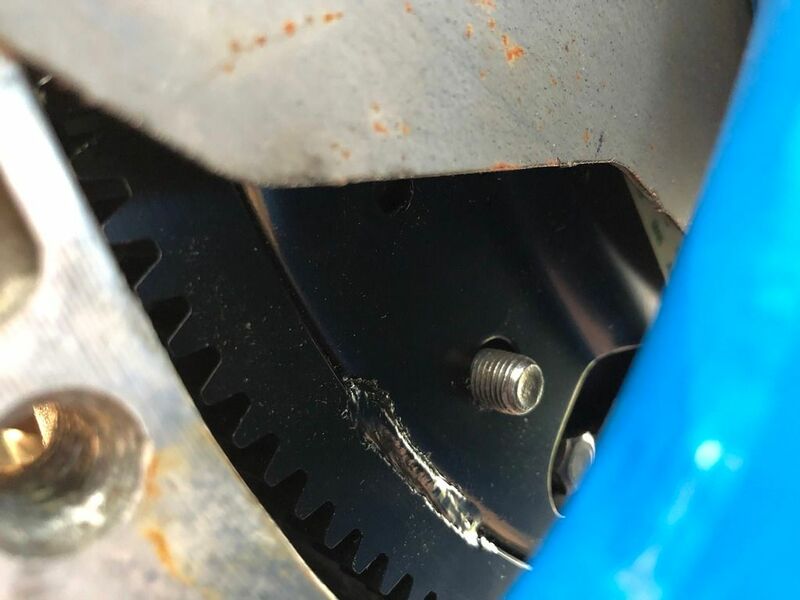 I have had people tell me to bore the stud holes in the torque converter out 1/16" and again, my Dad and his machinist buddies are telling me not to do that. Not sure what to do. I feel that I shouldn't have it tight like that, but I am a little squeamish with boring/reaming holes on things that need to be centered. Am I doing something wrong? Is this a common problem? I am giving serious consideration in sending both TC and flex plate back and ask the manufacturer to exchange with units that have been test fitted properly. Have you verified the hole to stud clearance out of the car? You might just be seeing the weight of the converter pressing down against hole and have the opposite happening at the top. I know I can wiggle the TC when I am installing it. Didn't think about it settling downward after it is installed. I know that when I test fitted them dry (before installing the flex plate and TC) the holes were still shifted. 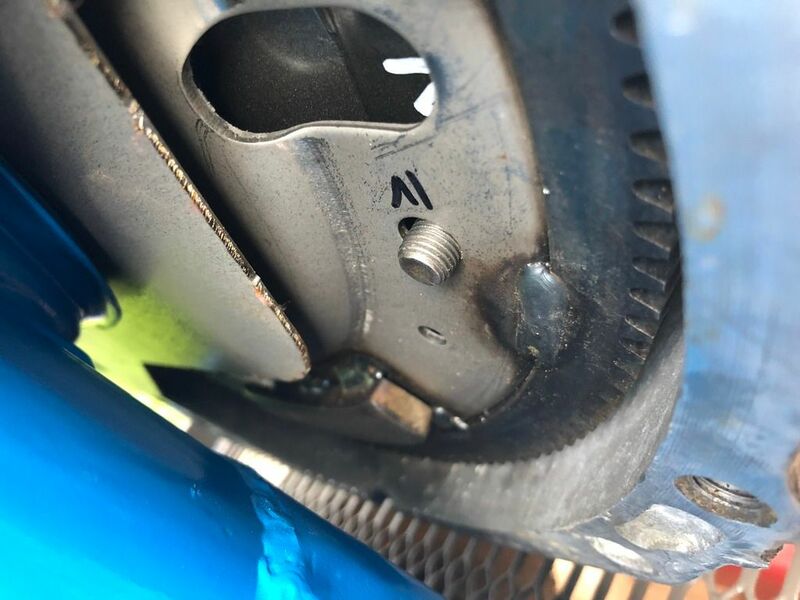 The only measurements I took were the bolt spacing on both the flex plate and TC; the bellhousing flange to tip of the stud (7/16"); and the back of the flexplate to the cover plate on the back of the engine (3/4"). So I figured out the issue; well, I was told by the manufacturer what the issue is. Most flexplates aren't specifically made for the TC of an AOD trans; they are made to fit a C4; which is a tenth of an inch off. I had to ream the mounting holes out to 29/64" to get it to fit, dry. When I mounted the engine and trans together, it still gave me trouble. So I separated the engine and trans and rotated the engine and remounted a few times until it lined up on the 3rd try. Then I got my end play. This may be atypical for this engine/trans combo; but this is what I had to do. Now I have to deal with installing the small block and trans into a full-sized car. Getting the old engine and trans out was easy; putting them back in is another story altogether.